All hail the PC Master Race! 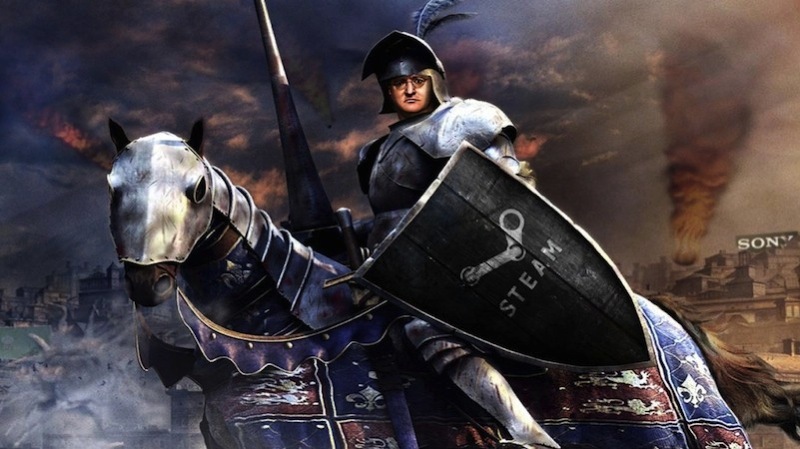 For they are the knights in shining armour this industry deserves. They have conquered both land and sea, spreading their influence far and wide. They are the next evolutionary rulers of this kingdom. If only you could join up and fight the just cause with them. Well, all hail Civilization V! I’m patiently waiting for the next chapter of Civilization to begin next month with After Earth, but until then I think this new mod might just hold my attention. Civilization V features a ton of races and ages to choose from, but there isn’t one that comes close to matching the regality of the new Master Race. A new mod adds in the age-old internet joke straight into Civ V, with none of that Gabe Newell occupying the almighty then (I mean, who else really?). The entire thing drips of satire, from the glorious flavor text to the insanely wealthily Master Race capitol, Valve Headquarters. But that’s nothing compared to the Mater Race’s special ability. If things are looking bad in the capitol and people seem unhappy, you’re able to start a Steam Sale. This reduces unhappiness by 75%, and probably increases backlogs by some percentage over 9000. You can grab the mod here, and start initiating your own Steam Sales on your computer. So, so meta.